New from the Beer O’clock Show is Hopinions, our new fortnightly podcast that will be launching on 2 September. Steve will be joined by new co-host Martin Oates from Beer Is The Answer to talk about whats been going on in the beer world, what people have been discussing on social media and what the latest Hopinions are on all manner of subjects. We’ll be keeping a few things from the original Beer O’clock Show, such as the #prizelessprize as we just love giving away empty boxes of nothing. Oh, and we’ll be drinking and talking about beer too! You don’t need to worry about subscribing to anything new as Hopinions will be going out on all of our existing channels. 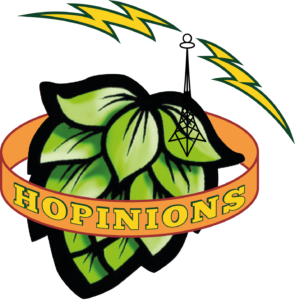 We hope you’ll continue to support us and get involved in the weekly Hopinions polls that we’ll be using to help generate content for the show.